2017 is the first year of polar code implementation. We have in recent years seen alarming signs of how changes in the Arctic are quick and big. IMO level regulations are to be applied also in ice-classed vessels. They create a special difficulty, as low-energy solutions are often controversial to the practical ice vessel operations. 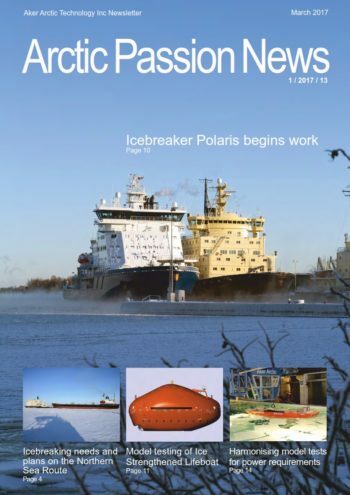 This challenge drives us even further to develop ships with easier icebreaking technologies as well as vessels’ system solutions, which are clean and efficient.